Full Service Florist. Satisfaction Guaranteed. Family owned and operated for over 30 years. Specializing in unique and high style custom arrangements. Local deliveries daily. 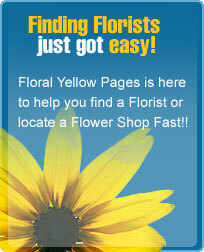 Flowers for all occasions and events. Something for everyone's taste and budget. Serving all hospitals and funeral homes. Full Service Florist. Satisfaction Guaranteed. Owned and operated for over 40 years. Specializing in unique custom arrangements. Something for everyone's taste and budget. We also carry live potted succulent plants. Unique to the San Diego area: original water color works of art. Everything is original art. Serving all hospitals and funeral homes. Full Service Florist. Satisfaction Guaranteed. Family owned and operated for over 10 years. Specializing in unique and custom arrangements. Something for everyones taste and budget. Serving all hospitals and funeral homes. Full service florist. Satisfaction guaranteed. Family owned and operated for over 40 years. Specializing in unique and custom designs. If you can imagine it, we can create and deliver with a smile. We treat our customers like family. Wedding and event planner on premise. We carry a full line of gourmet and fruit baskets, in addition to junk baskets. We will also do silk arrangements. Serving all hospitals and funeral homes.